​Escondido’s Best Tree Service brings an amazing work ethic to any tree care project! Tree services, in particular tree trimming, helps the health and appearance of your trees, as well as help elevate the value of your property. As Rancho Santa Fe certified arborists, we examine your tree’s condition, along with the infinite and practical wisdom we pass along to each project. Your trees will be happier and healthier than ever. We can assist you with regularly scheduled tree trimming that compliments your landscape with elegant and artistic craftsmanship. We understand that our customers are on a budget, so we provide unmatched quality at a reasonable price. Our aim is to do what we can to keep your services within your price range without sacrificing workmanship. This is the main reason we have endured and flourished for so long in industry. Our customers keep coming back for our expertise and outstanding customer service. If you are interested in customizing your tree trimming service, we can help you decide what should be trimmed and how the job should be done. We only use professional tree cutters, so your project is done accurately the first time. If you need to get your trees, shrubs, and hedges trimmed, turn to us. ​For years, we have been providing the residents in the Rancho Santa Fe, Poway, and Rancho Bernardo, CA areas with affordable tree care services. What separates us from our peers is our high level of discipline, respect, pride, and dedication. 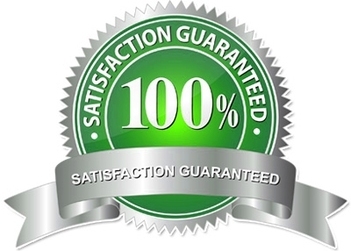 We guarantee that every project is done to perfection. Our highly-trained tree professionals go the extra mile to give you world-class customer satisfaction and service. Our team approach features a division of labor and specialization that fosters superior mastery in each of our crew members. We specialize in the design of personalized outdoor areas that handles the distinct problems caused by the Rancho Santa Fe, CA weather and landscape. We pride ourselves on providing you with prompt, fast, and friendly service at a fair price for your residential property. Our objective with our many services is to bridge the connection between people and nature. From start to finish, we provide tree shaping and maintenance that beautifies your outdoor living space. We can make subtle changes in one tree care project, or we can set up a schedule to enhance your trees and hedges with regular visits. We invite you to let us design, build, or nurture your yard. Schedule an appointment with Escondido’s Best Tree Service today! Our Rancho Santa Fe tree crew provides tree care, stump grinding, and tree trimming services at reasonable prices. For the premier Rancho Santa Fe, CA tree care company, depend on us!